Add-on to any 100-200 watt warning siren & Improves emergency vehicle operator safety and siren effectiveness. 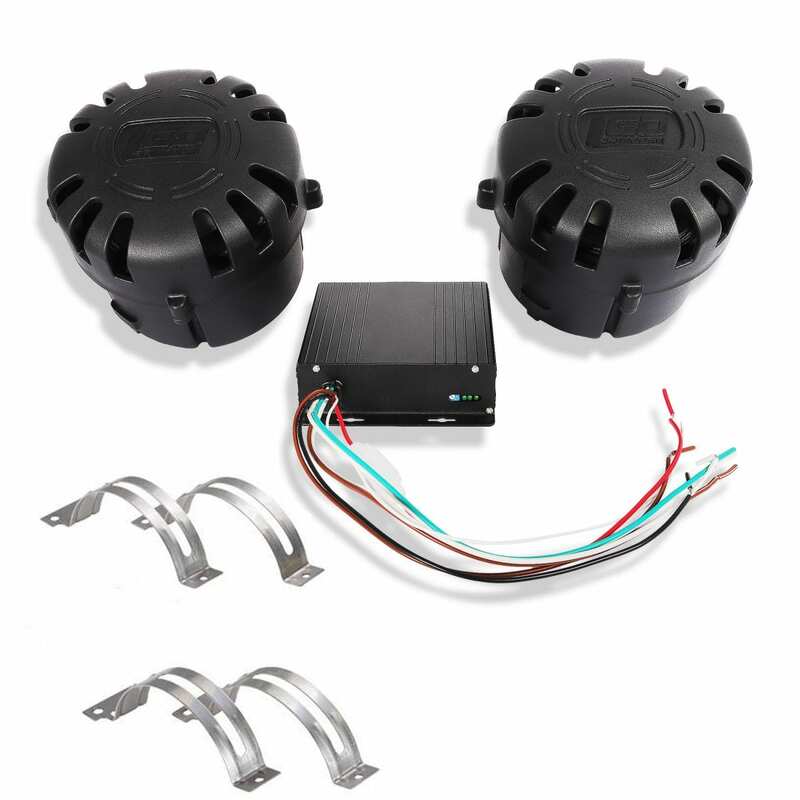 Produces penetrating/vibrating low frequency sound waves able to penetrate vehicles. Works with any 100/200 watt emergency vehicle siren & Works with any sweeping tone, plus Hi/Low and electronic mechanical tone generated by the primary siren. Low Frequency siren sound can be activated via any emergency vehicle steering wheel horn ring– 8 second safety timer provides automatic tone shutdown. The LedEquipped Growler Low Frequency Tone Siren is an effective added layer of warning for intersections and high risk areas when used with your 100/200 watt siren amplifier. The Growler provides deep, low frequency tones, which are able to penetrate other vehicles, alerting drivers and pedestrians of your approach. Lower frequency reverberating tones are better able to penetrate other vehicles, alerting drivers to the presence of the oncoming emergency vehicle. The Growler is not a replacement to the vehicle’s primary siren. The Growler is an excellent add-on to any 100-200 watt warning siren. The Growler adds a minimum eight second penetrating burst of low frequency siren sound for use in heavy traffic, intersections or other high ambient noise conditions. Works with any sweeping tone, plus Hi/Low and electronic mechanical tone generated by the primary siren. The Growler low-frequency tones are synchronous with your primary siren tones to penetrate high noise, high traffic situations. The Growler Siren Amplifier module uses the primary siren speaker output wires and divides the frequency down to one of four tone styles. Built-in timer limits overexposure time to operator. Operators are advised to wear approved hearing protection. The unit comes standard with two separate external cancel controls. A positive or negative activation will cancel the tone. The Growler system includes speakers specifically designed for use with the Growler amplifier only. The Growler Low Frequency Tone Siren Intersection Clearing System will include one or two of these speakers depending upon the vehicle application. Produces penetrating/vibrating low frequency sound waves able to penetrate vehicles, alerting drivers to your oncoming emergency vehicle. Low Frequency siren sound can be activated via any emergency vehicle steering wheel horn ring./Highly effective in dense urban environments with heavy vehicle traffic – 8 second safety timer provides automatic tone shutdown.